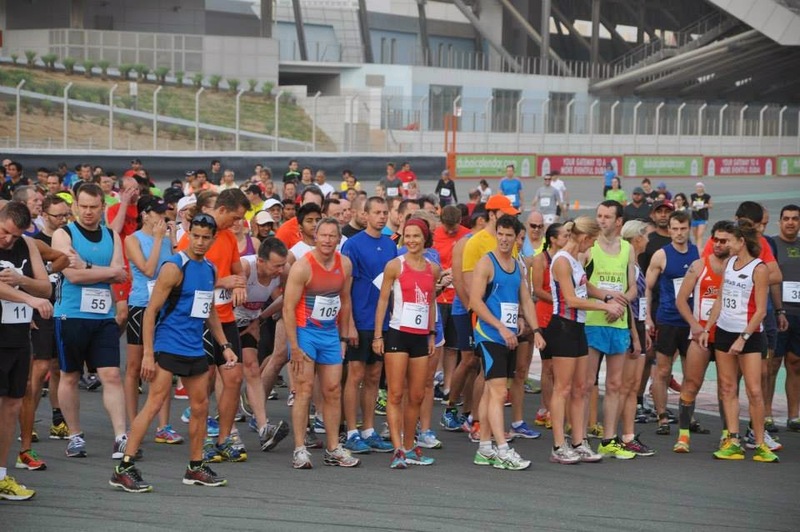 March is pretty much the last month of the Dubai running season. The races are getting shorter, as the weather gets warmer. Over are the days when the temperatures drop down to 15 degrees or less. I had signed up for two 10k races in March, while giving another half marathon at the beginning of the month a miss as it was only three weeks after my February half marathon. One of these 10k races was ten days ago, the other one will be this Friday. My racing motivation was low after the RAK half marathon in February. I wrote about it in detail here. I realized the mistakes I made in both the RAK half marathon and the Dubai marathon: I made myself a slave of my Garmin, let it dictate how to run my race. While I achieved PBs in both races, I didn't enjoy running them. I used to be the queen of negative splits. During those two races, I overdid the first half and then struggled through the second. That obviously is not enjoyable. My legs were tired from all the hard running and endless training miles. I started cutting down on weekly mileage, and add some quality speed work to prepare for the upcoming 10k races. I never enjoyed lung-busting sprinting or running hills (even speed bumps are hills to me). Nevertheless I incorporated them into my weekly training. And... surprise, surprise... I am enjoying them. It's perhaps because they short. After a long running and training season - remember, I started training for the Berlin marathon in July last year and hardly had a rest since - my body appreciates less pounding. Yet, they are quality workouts. I am not sure if they have made me faster yet. But I feel stronger in my legs and lighter on my feet. I bet, somewhere and somehow they will contribute to me becoming a better runner. The 10k race last week was a bit too early to have my newly incorporated training sessions show their results. Yet, it turned out to be an important race to me as I got my racing motivation back. This 10k race was a hilly one. So fast times were out of the picture already. The weather decided not to be in favor either: hot and windy. In previous years I would dread this race. This year, I found all the circumstances - hilly, hot, windy - very deliberating. I decided to run totally by feel, and not become a slave to my Garmin again. I meant to look up what time I did on that course in the previous year, but then I forgot. As a result, I had an awesome race. I didn't collapse halfway. I had more or less even splits. From 7-8k onwards are started "collecting" runners in front of me. My finish time was atrocious, I realized that when I checked my Garmin at 5k and multiplied that time by two. But compared to last year's result on this course, I improved by almost a minute. That's acceptable. I finished 4th lady overall and 3rd in my age group. That's OK too. Lesson learned: Running is supposed to be fun. That's why we do it. I run best if I trust the signals of my body. I love my Garmin, don't get me wrong and I never leave the house without it, but it cannot beat running by feel. I have only owned a Garmin for two years. For the 7-8 years prior I ran with a simple stopwatch that would not tell me pace or distance covered. I think I learned reading the signals of my body in those years. I should continue doing so in every single race. So on the occasion of having had a good AND enjoyable race, we'll have some cake today. Who doesn't love a piece of homemade apple cake?! 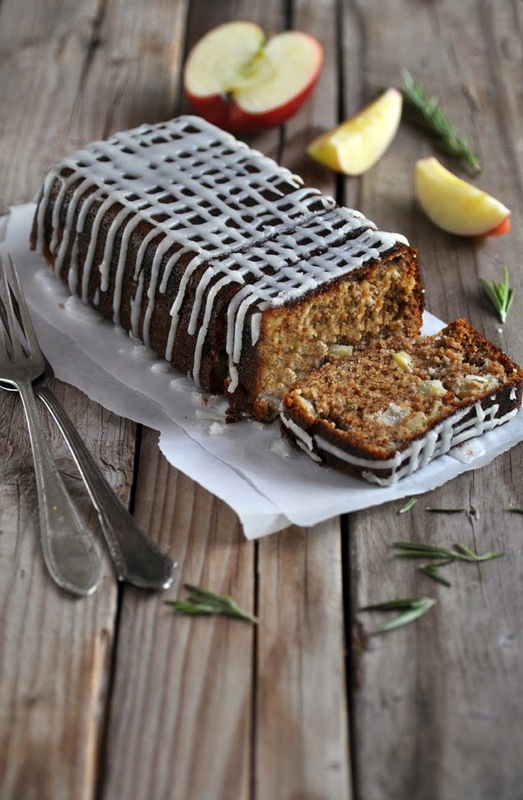 This one is brimming with flavors, as the fresh apples are accentuated with rosemary and vanilla. The lemon drizzle is the cherry on top. I hope you enjoy! Preheat oven to 175C/350F. Line or grease a medium sized loaf tin (22x10cm/9x3inches). In a large bowl, combine almond meal, coconut flour, baking soda, seas salt and rosemary. Stir until well combined. Set aside. In a medium bowl, lightly beat the eggs. Stir in honey, coconut oil and vanilla. Blend wet and dry ingredients until just combined. Stir in finely chopped apple pieces. Transfer batter to prepared loaf tin and bake in preheated oven for about 40 minutes or until cake tester comes out clean. Turn out the cake and let cool on a wire rack. Combine powdered sugar with 1 tablespoon of lemon juice. Stir until sugar dissolves in the juice. Add more lemon juice by the teaspoon, until mixture has desired consistency. Mixture should be a thick and smooth liquid, not too runny. Drizzle icing over cake and leave for 15-20 minutes to harden.